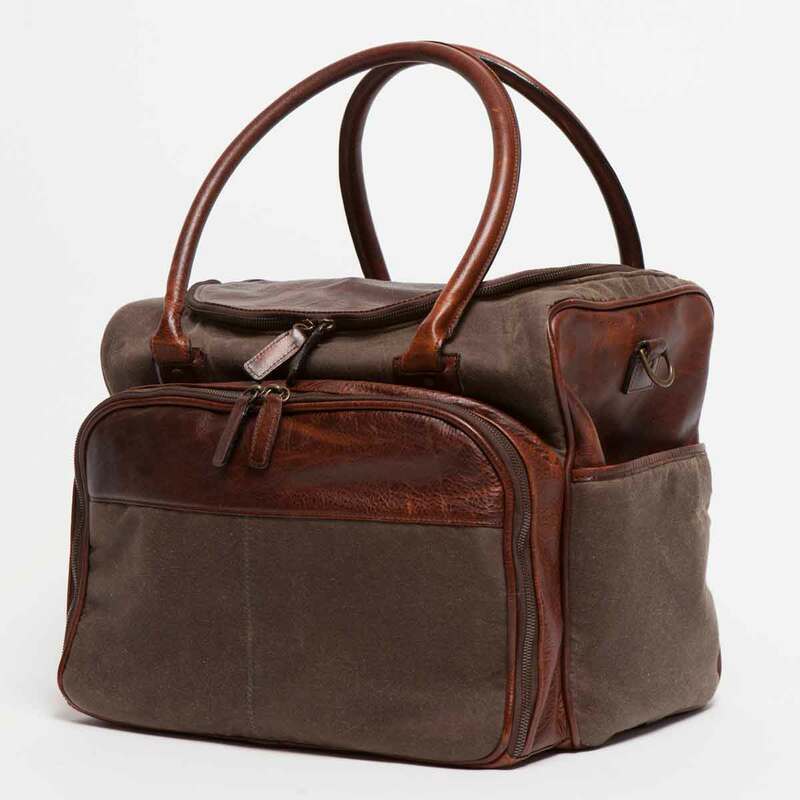 An ongoing partnership between Moore & Giles and Meehan has yielded four products to date. 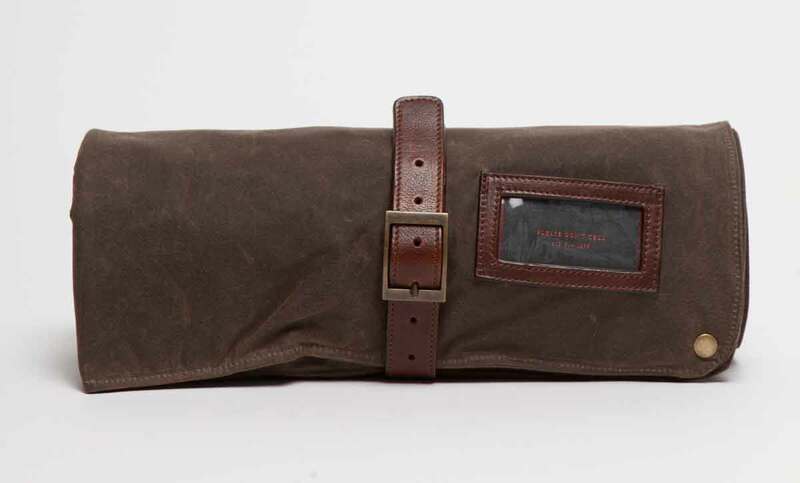 The first two were a leather and waxed canvas utility bag and bar roll-up designed to carry bar tools on the road. 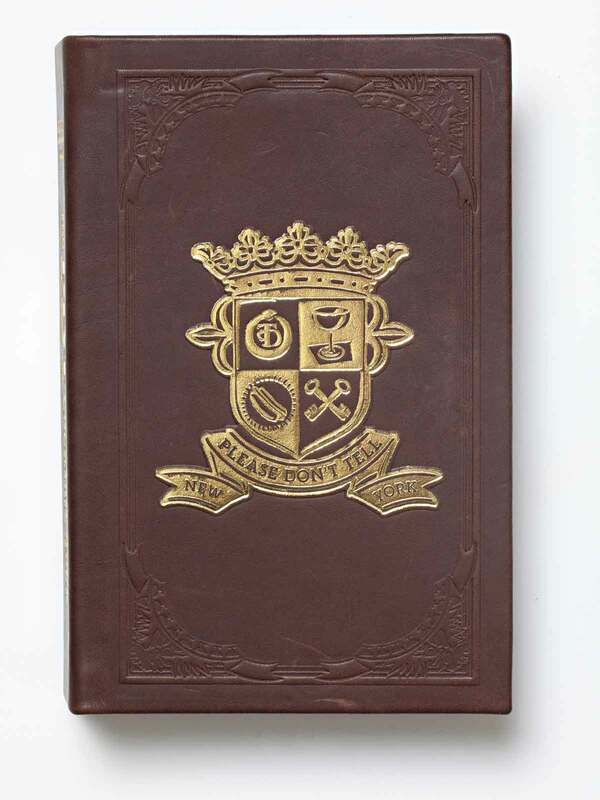 The third offering is a limited, leather-bound edition of The PDT Cocktail Book. 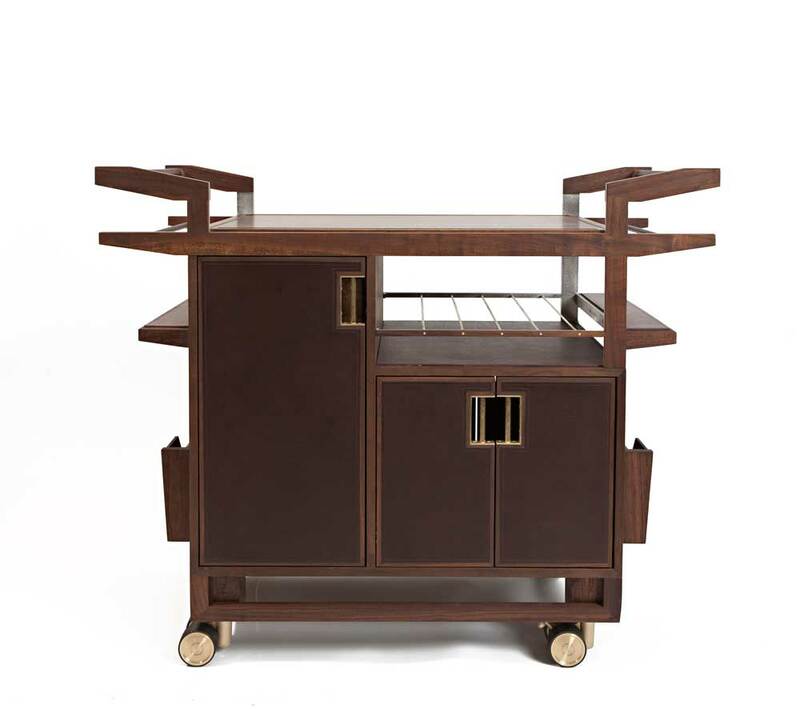 Their latest creation is the Sidecar: a handmade, leather-paneled walnut bar cart appointed with brass hardware.